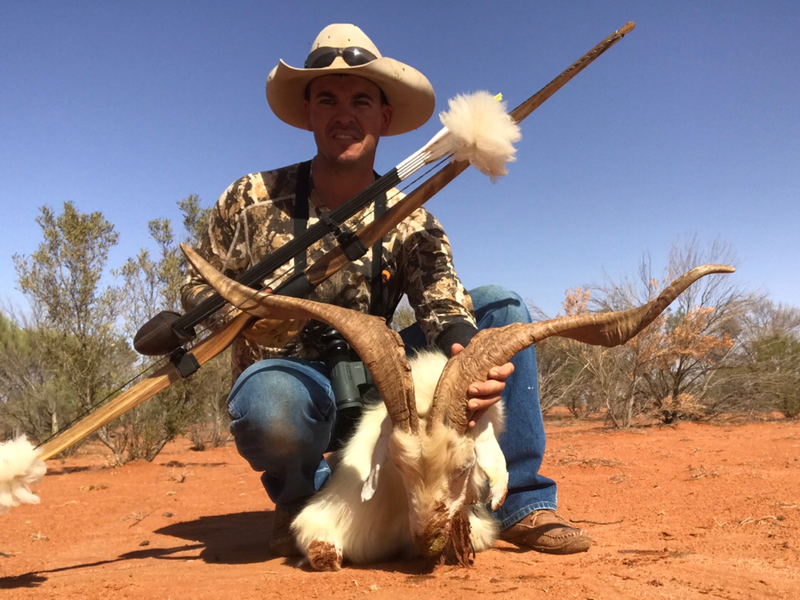 Took this goat today, had a few stalks on him before today but never got a shot, it’s the first goat with my yarrum takedown. I had a go at making some string silencers from some fleece wool of a sheep I shore the other day and probably should have trimmed them down but seem to work alright so if it aint broke don’t fix it. Arrow setup was a gold tip hunter 55-75 with 100gn brass insert and 130gn outback supreme. Cool silencers mate, probably worth a trim but great in the photo. Well done on the Billy thanks for posting. Nice one buddy with the bent stick.